If my father were alive to celebrate this Father’s Day, he would be 100 years old. “Daddy” is what I called him. 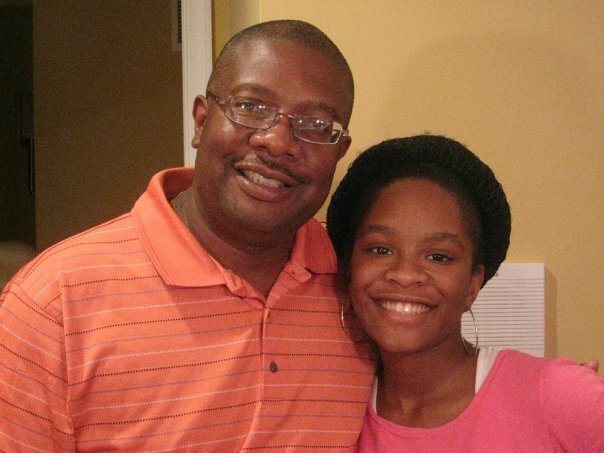 Me & daddy. I think I was around 15 yrs. old. Axel was 20 years senior my mother. The stories about daddy’s young years still resonate within me. “Your daddy was something else!” “Axel did this, he did that…..” All events that took place before I was born. Typically, my perception of fatherhood developed at home, where I watched everything daddy did. I listened to everything that he said, as well as, observing his interactions with my mother. I had daddy for 17 years; he died of colon cancer just before Thanksgiving my senior year of high school. Some would say 17 long years. I say 17 short years. It is all a matter of perspective. The years are short for me because I did not have the opportunity to know him as an adult. I only knew him as a child. Adult relationships differ with parents. When children become adults, some parents are able to open up giving way to relationship with greater depth and understanding. I know I should be grateful, because some people don’t get to spend 17 years with their father or worse, don’t know their father. Yes, I am grateful for the times we shared, but I cannot deny my feelings and wish there was more time. He was a man of little words, but his actions spoke volumes. Daddy’s actions taught me lessons about fatherhood. Regardless of your education and economic status, if you work hard and don’t stop trying, you CAN provide a good life for your family. Six days a week and at least 50 weeks a year, he got up at 4:00 a.m. to ready himself for work, which included cooking two poached eggs, several slices of bacon, and toast. Almost every morning I woke to the smell of bacon and could count on two or three slices set aside for me. The absence of a high school diploma did not prevent him from taking care of his family. He worked in a factory that manufactured plastics. Factory work is grueling. Imagine yourself surrounded by oversized, motorized, screeching, grinding, and heat-producing machines all day. No windows or air conditioning. Just blazing heat and noise every day all day; that’s what daddy did. He never complained about his job. We lived in a modest three bedroom rancher on five acres of land. I grew up never wanting for anything tangible. I had everything that I needed and more; plenty of food, a closet full of clothing, heat, hot running water, and a pretty bed to sleep in. Daddy brought home the paycheck, and mom took care of it. Her care for the paycheck is another post, but not today. Daddy literally worked from sun up to sun down. Wearily each day he returned home from work. The rhythm was the same every day. I hear daddy’s car pulling up in the driveway. Go in the closest and get his slippers. Put the black leather like slippers in front of his favorite high back armed chair. Greet him at the kitchen door with a big old kiss. Wait for him to sit down and remove his worn and dirty shoes, put them in the hall closet and sit back down. Sit on his lap and rub his silver, thinning, naturally slick and frizz free hair. Watch him smile. Today this makes me smile. Daddy I miss you! I wish that you could see your little girl today. I’ve grown up and I’m doing well. You’d love your son-in-law, he’s a hardworking man and great father—just like you! As I said, I had everything that I needed and more. I only longed for more family time with him. Today I understand that daddy sacrificed time with me and the family, so that our family could live in comfort and without worry. The idea of fatherhood came natural to him. He probably did not realize that his actions taught me about the qualities that I should look for in a husband and in a father. Ironically, my husband shares similar qualities as daddy. Tremendously hard-working and committed to providing for his family. He has leaned the importance of balancing work and family time, so we have enormous fun together. Although unspoken, like daddy, he doesn’t want his family to want for anything; always going above and beyond to provide for his wife and his two children. “Big Daddy Cain” as I like to call him, is an outstanding role model for his children in the true essence of fatherhood and manhood. Hopefully they will take note and appreciate his qualities; I do! So, to all the dads who are appropriately handling their business of fatherhood AND to all the men who are filling someone else daddy’s shoes, Happy Father Day and thank you for all that you do! This entry was posted in Family Living, Inspiration and tagged dad, daddy, Family, Father, Father Day. Bookmark the permalink. OK getting a little choked up but thank you for sharing!! Your dad was incredible!!!! He took good care of our family & for that I am thankful.